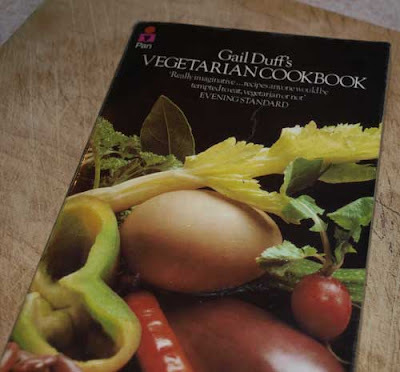 I know it doesn't look like an 'old' cookbook, but VINTAGE means 20 years old or older so many of my cookbooks are indeed vintage. 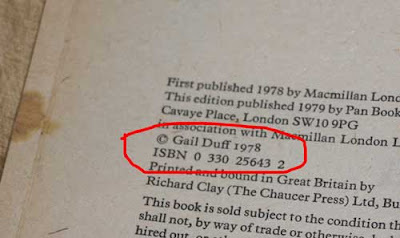 As you can see this one was first published in 1978, I didn't buy it then, I think I must have waited until 1980 or 81 lol! This was my wholefood phase, a lot of it is still with me, wholemeal pasta and brown rice, but we really embraced it around that time. Can you see the fabulous tomato stains on the edge of the book, always a good sign. The inside of the book looks like it is vintage, the paper is starting to brown with age :o The star ratings are something I started around about this time, as it was when DH and I bought our first flat and had our first kitchen that wasn't shared. I rate all my recipes so I can see which ones I have made and what I thought of them. 8oz (225g) ripe tomatoes plus two more for garnish, here is where I deviate, you know I always deviate from the recipe, tomatoes are rubbish just now in Scotland, so use two tins of plum tomatoes. 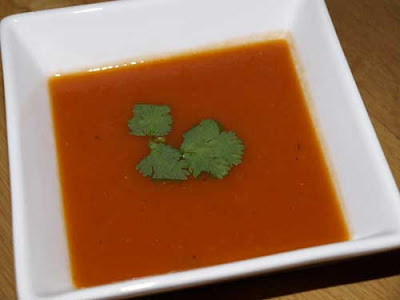 For Serving: 2 tbsp (30ml) chopped parsley and two tomatoes mentioned above. I don't even really measure anything, just throw some onions, garlic, carrots into a little oil, whoosh it about, fill up my pressure cooker with stock and once it's cooked, pulverise it with the stick blender, Voila! 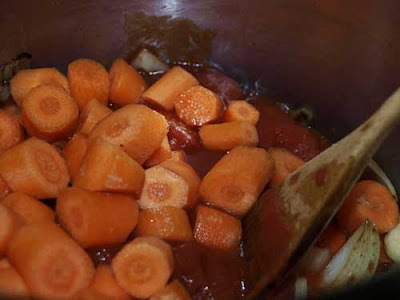 Thinly slice the carrots, Scald, skin and chop the tomatoes. Melt the butter or heat the oil in a saucepan on a low heat. Stir in the carrots, onion and garlic. Cover them and let them sweat for 10 minutes. Add the tomatoes, cover again and cook for a further 2 minutes. Pour in the stock and bring it to the boil. Add the bouquet garni, cover and simmer for 15 minutes. Remove the bouquet garni, cool the soup slightly and work it in a blender or rub it through the fine blade of a mouli. Return it to the saucepan, stir in the sherry and reheat. Serve in individual bowls with 2 tomato slices and some chopped parsley floating on top. Janice, I'm with you on the chuck it all in and use a handblender method of soup making - it's a gorgeous colour. 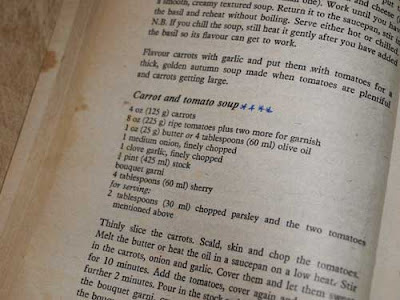 I love seeing cook books that are marked, notated and stained! You can pick out the best recipes straightaway. Beautiful soup. I'm not very good in making this tyoe of soup. But you make it sound simple. Have to try it. My kind of soup - simple and delicious! It's funny how trends cycle, isn't it. I think that our present times have their roots firmly in the 1970s: allotments, brown rice, food miles, environmental issues. These all really remind me of my childhood - as does your soup. Yum! Janice, this made me smile. I picked up this very book a few years ago at a second hand store. I like it, but have not yet cooked from it. The NEW Farmersgirl Kitchen ...coming soon!